Billions of search queries are performed every day on leading search engines Google & Bing. The search engine displays the most relevant results to the search query, which is where SEO (Search Engine Optimization) comes into play. it doesn’t mean you’ll come up in the search results. Google & Bing have their own algorithm which are constantly changing to enhance the SERPs (Search Engine Results Pages). The reason why Google is the most popular search engine is due to the high relevancy in the SERPs. Think about it, when you search for something on Google, how often do you have to click on the 2nd or 3rd page(s) to find what you’re looking for? This is where SEO (Search Engine Optimization) comes into play. Provide a competitor analysis – How does your website rank among the competition? On-page SEO & Off-page SEO changes – Website Code, Errors, Backlinks, Social Networks, Reviews, etc. Many SEO firms charge a fixed monthly rate for each client, which we don’t recommend. 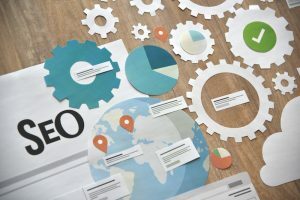 The reason being is that an SEO plan for a small local auto repair business is completely different from an e-commerce store. We actually work with you to understand your goals with your website, then craft a custom SEO plan that will work. The ultimate goal is to put a customized plan in place to help improve your organic rankings. It’s important to note that Search Engine Optimization is not something that can be done over night. Over time, your SERPs will improve with constant adjustments made to your website (On-page and Off-page), which will drive more organic traffic to your website. With over 15 years of experience building, managing and marketing websites, you can trust Kingsbury Web to bring results.